What started with fitness bands and smart watches has now grown to become a $20 billion dollar wearable technology industry, according to Goldman Sachs. Despite being a newcomer to the consumer market, nearly 50 percent of consumers already own at least one wearable device, PwC found, leading many to believe they hold the key to future of in-store payments. Tractica, for example, predicts consumers will make more than $500 billion worth of payments via wearable as soon as 2020. While this surely signifies an exciting period of change for shoppers, retailers must also be ready to adapt to the shifting contactless payments landscape. 1. You might already have the hardware. Most wearable devices would use near field communication technology to send payment details to the point-of-sale terminal. 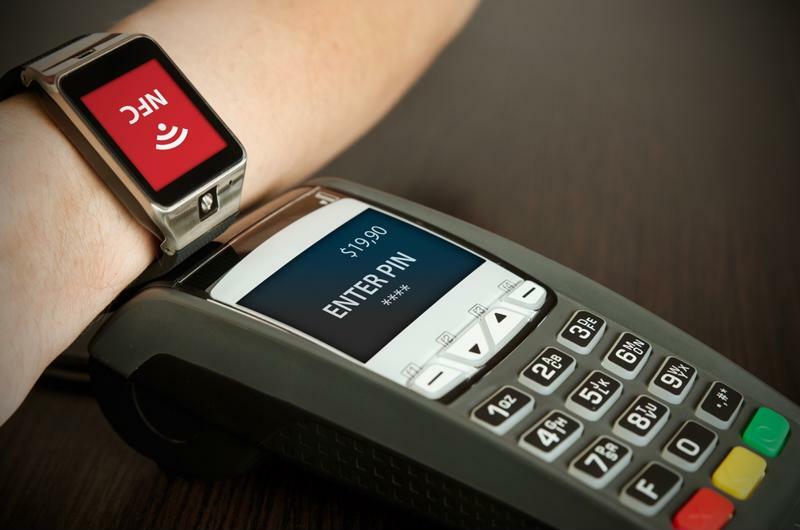 Luckily for retailers, most EMV-compliant terminals already include NFC receivers, meaning you'll be able to accept wearable payments with no additional hardware costs. 2. Small transactions will see the change first. Traditionally, contactless payments have been most popular when shoppers are making quick, low-cost transactions. If this sounds like the average transaction at your store, you might want to make sure you're ready to accept contactless payments sooner rather than later. 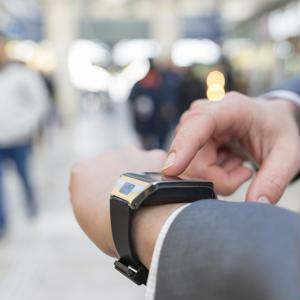 Wearable devices like smart watches use NFC to send payment data to the terminal. 3. Don't forget to tell your customers. No matter how much preparation you've done to be ready for wearable payments, those efforts will be wasted if your customers don't know you accept them. From training your sales staff to developing creative in-store promotions, its up to you to communicate your new check-out options. That way, you can be sure to have an impact with every early adopter who comes through your doors. At Vantage, we're experienced in helping merchants determine which payment processing solutions are right for their business needs. Contact us today to learn more about our solutions, ask a question or schedule a consultation. Copyright © 2019 Vantage Card Services, Inc. is a registered ISO of Wells Fargo Bank, N.A., Concord, CA. All Rights reserved.